1st day cultivate kudzu and boil it . ferment it in bed which is made of silver grass leaves. 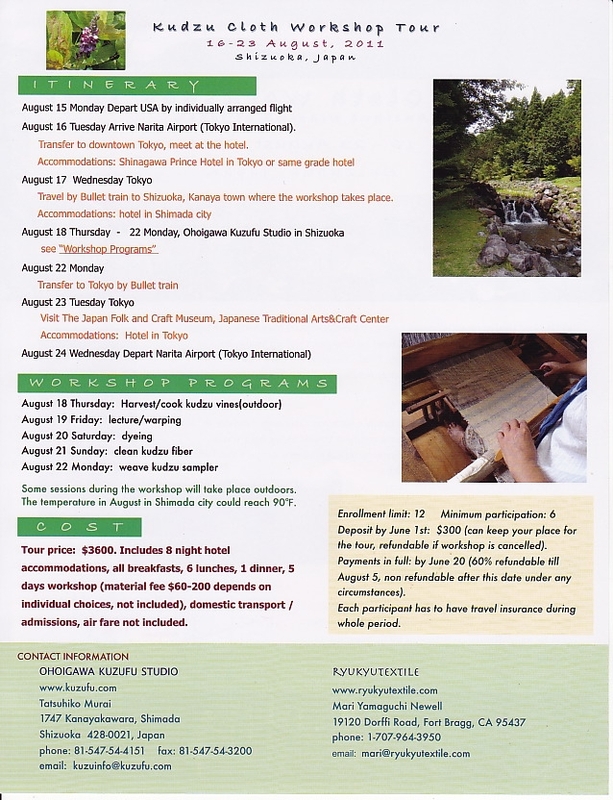 We held the dyeing and weaving class twice a month. 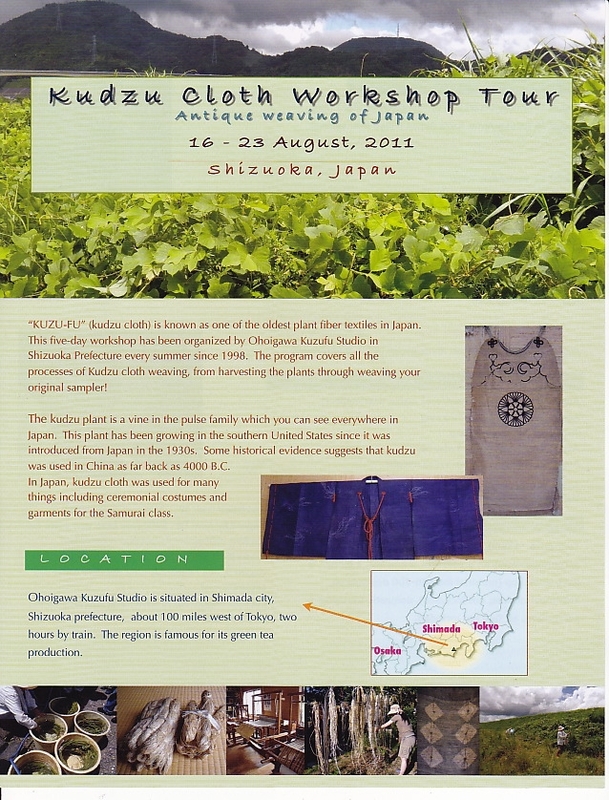 Moreover, the Kudzu Cloth WorkShop is held twice in August every year. Kudzu cloth was one of the most oldest clothe that Humankind wore　at the very first of his history.It is made of kudzu vine .It is one of the three great ancient clothes in Japan. The others are Shina-fu(Linden fabric) and Basyo-fu. 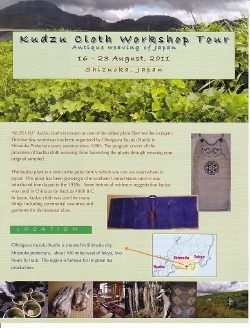 Kudzu is still woven in the Shizuoka Prefecture Enshu area by us. housewife , school teacher , carpenter , researcher・・・etc. One of them was a Russian researcher who research old Japanese fabric　as a member of museum stuff. Everyone who joined our workshop had nice character ,so they made friends each other soon . They have kept contact till now and meet several times a year. That so pleased us.